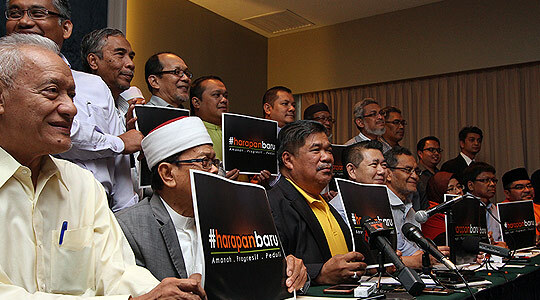 The fear that the new Islamic-leaning party Gabungan Harapan Baru (GHB) will be another religious party advocating theocracy is unfounded. There is a tendency amongst secularists to resort to fear-mongering to skew the direction of national politics. The story is a familiar one – the participation of the religious political parties will pave the way for the degeneration of our democracy into a religious theocracy. However, these fears are built on the assumption that the GHB and PAS can be simplistically banded together as Islamic parties for Malays. This is an unhelpful generalisation, with the dangerous potential to obfuscate rather than elucidate. 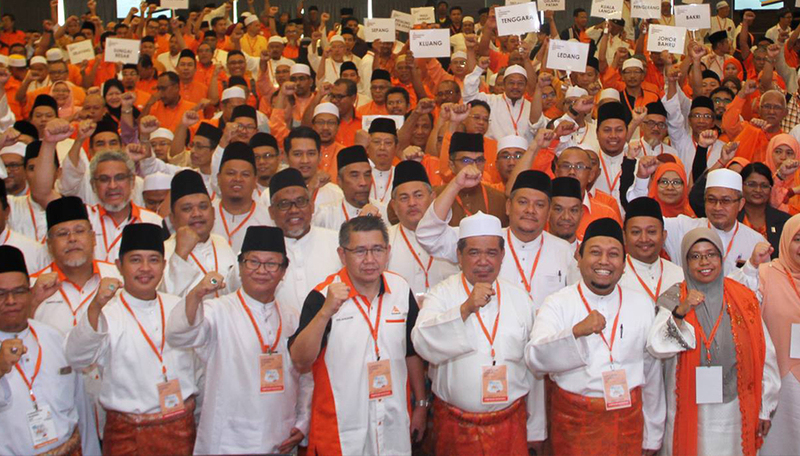 While PAS can be said to be principally a religious movement with its participation in democracy an instrument to achieving its objectives, GHB is a political party with religion to provide it with legitimacy. Politics is employed by PAS to give greater force to its religious movement, whereas religion is carefully used to legitimise the political mission of GHB. In other words, religion is the raison d’etre of PAS, while the democratic wishes of its members, not religion, is the primary concern of GHB. Nowhere is this more clear from the top down and bottom up party structure of PAS and GHB respectively. The hierarchical ranks of the PAS party structure reinforces top down communication. This is because religion is often used to smother contradictory claims made by dissenters. The syura council, first established with the aim of a consultative role has become the dominant decision making authority, superseding even the constitutionally empowered body of elected representatives, the central executive committee (CEC). Moreover, during the Selangor menteri besar crisis, it was learnt that the syura council made the unilateral decision to endorse PAS candidates for the top post. In the process, the CEC was sidelined. This seemingly innocent move actually demonstrates how deeply religious principles has pervaded party culture. It reduces accountability of decisions made by PAS leadership since members of the syura council do not have to go through a process of election and the mechanism of democratic accountability has been overridden. Religion is used to override the constitution, and the party has descended into a dictatorial top down rule. On the other hand, the composition of leadership in GHB are mostly ‘professionals’ who lack religious credentials. By severing the formal link between religion and party, GHB offers a much more democratic, bottom up party structure. By virtue of severing this crucial link, it can be expected that GHB’s conception of political Islam will be different from that offered by PAS. This is similar to the New Komeito political party in Japan, part of the ruling coalition in Japan along with the Liberal Democratic Party (LDP). Since the 1970s, it has maintained only informal ties with its parent Buddhist organisation Soka Gakkai. Through the dissociation of ties, religious authorities are unable to dictate party direction. However, in order to appeal to its strong Buddhist support base, the New Komeito continues to embody humanitarian Buddhist principles in its policy advocacy. By advocating highly abstract Buddhist ideals, the New Komeito is able to simultaneously appeal to both its traditional Buddhist supporters and non-religious voters. This is the democratic constraint imposed on religious political parties. The incentive of electoral success provides a check against anti-democratic tendencies of religious theocracy, since religious political parties are motivated by increasing seats won during elections. Despite being in its infancy, the GHB, set up to fill a vacuum of Malay votes in Pakatan Rakyat 2.0 is much more oriented to our democratic party system than PAS is. What has emerged from our analysis is that GHB is not merely PAS 2.0. While both are religious parties in that they share Islamic ideals, GHB is likely to be a democratic party with informal ties to religion through its strong Islamic voter base. Meanwhile, since religion is sanctified in the party constitution of PAS, PAS is primarily a religious movement. LAY SHENG YAP is a government student at the London School of Economics and Political Science.